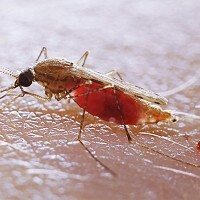 The number of UK travellers found to be suffering from dengue fever, a mosquito-borne infection, has more than doubled in the past 12 months, according to new figures released by the Health Protection Agency (HPA). People going abroad should ensure that they have taken out medical travel insurance to cover themselves for illness. A total of 406 cases of dengue fever were reported among Britons who travelled abroad last year, compared with 166 in 2009. Dengue fever does not occur in the UK. Of the total cases reported in the UK, the highest proportion was associated with people who had travelled to India (21%), while 15% were in those who visited Thailand. Figures also showed that 79 cases of chikungunya - another mosquito-borne infection - were reported in 2010, up 34% year-on-year. Nearly 50% of these cases were associated with people who travelled to India. The dengue virus causes severe flu-like symptoms, such as a high temperature or fever, severe headache, muscle and joint pain, reddening of the face and skin rash. There is no vaccine to protect against the virus, and people usually recover within a few weeks. Chikungunya also causes flu-like symptoms and joint pains that can persist for several months.